"And I'm sure you'll get another when we return." Chance replies with a shrug and then heads for the exit. Fulminous slumps his shoulders slightly. "I told you it wasn't much..."
He blinks, looking between Chance and Shimmer as they speak before nodding. He says with a slight wave as you both leave. Grumbling over the loss of his much anticipated drink, Tindalos gets a hint of the topic of conversation as he leaves with Chance, apparently the stallion guard caught the mare flirting rather shamelessly with their commanding officer earlier that month while the mare angrily insists that isn't possible as she was stationed out of Ambleon at the time. "Not sure what about that you think would've upset us." Says Cloud Chaser with an easy-going smile and a perplexed tilt of her head. "We certainly don't begrudge you caring about your family, if that's your concern." 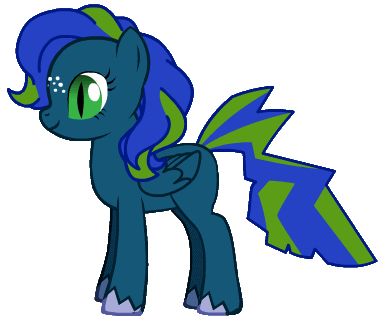 Adds Flitter with a matching tilt to her head. "We weren't even out of diapers yet when the Baron took us in, wouldn't even know we weren't related if he hadn't told us himself, far as we're concerned they ARE our family. And if you're worried about talking too much, don't be. If you haven't noticed, I like to talk a lot too!" Finishes Cloud Chaser with a laugh. Dame Rose looks up as Chance returns with Tindalos and Soft Shimmer. "Excellent, that's everyone together. If that's everything I'll be proceeding to meet with the Grand Duchess. Best of luck to all of you, and be careful." She gives a polite nod to all of you before trotting away, the squire close behind. With everyone together, the party heads on down the road towards the Akasha Institute following Shimmer's directions along the fastest route to the prestigious academy, stopping briefly to allow Flitter and Cloud Chaser to pick up a pair of simple canvas saddlebags. In short order you stand at the entrance of the Akasha Institute, the greatest gathering of minds in pursuit of academia and arcane arts in all of Cavallend. The District is practically a small town within the city, the structures having distinct stout blocky shapes unlike anywhere else in the city and built from large red bricks. Built upon a meticulously planned grid, the district is maze-like in appearance but surprisingly easy to navigate. Every structure is labeled in some way, distinguishing labs from classrooms from dormitories and the like. Nature pokes through in small patches as carefully maintained trees and shrubs at defined patterns, or in allotted bordered parks where even now scholars can be found studying under the shade of trees in the small planned islands of nature. Though most of the buildings have at most three floors, three in particular tower over the others if only by comparison. Two large rectangular buildings of five floors each on either side of a large meticulously maintained diamond-shaped courtyard centered around a large magically grown tree made of crystal with a pale amethyst trunk and ruby leaves known as the Tree of Knowledge. The third building is on the point of the diamond between the two others, a wide short tower of six floors that only barely clears the height of the walls. At the top is a great dome from which a large powerful telescope protrudes: The Starlight Observatory. Second only to the Great Bay Observatory for its powerful telescope and view of the night sky. Together the three buildings and the courtyard between them form the heart of venerable Akasha Institute. Your group comes to rest beneath the shade of the great crystal tree to plan their investigation. Some of the students or faculty seem to stare in puzzlement or disdain, however most only give you a passing glance. Some, mostly other serving staff but also a rare few teachers and students however seem to recognize Soft Shimmer, stopping to wave cheerfully or giving her and the rest of you with her polite nods and smiles. On the way there, Chance explained what she'd discovered about the sleeping plague and once they got to Akasha Institute she changed into Outfit 1 (see character sheet). Tindalos make note on how the navigation works in the district. What good is a hunter if he doesn't have an idea of the lay of the land? I wave back to the staff, and nod demurely to the students and teachers that recognize me. After listening to Chance's explanation, I begin to follow Tindalos. "The pub would be a good place to start, though if we don't find anything there, we should return to the school. I can speak to the faculty. I won't promise anything, but if they don't have information, they may at least be able to provide you all with a place to stay. I already have my quarters, at the very least." Outfit: A white lacey underdress beneath a muted green, light bodice for a female pegasus, which laces up the winged side and typically attached by a series of buttons to a matching skirt,which leaves room for just the end of her tail to clear the ground out from underneath it. Altara smiles at the sisters' response, and enjoys continuing their small talk on the walk. If you can sneakily take a taste of emotions, Altara would do that here. On the sisters, naturally, they're the ones who aren't being quiet, distant, or sour. It's late and you haven't responded so I'm just going to roll some things and that's not what I should have done...well...okay. As they travel, she realizes that they never actually asked for who the witnesses were that saw Dawn Rose with the stranger. She levitates her ring so it is floating in front of her and...very politely asks it to contact Caramel Velvet. The Ring doesn’t seem to do anything visually, though you can feel a small pulse of magic from it coming out in an even rhythm. After a few moments you feel a slight shift of pressure in your mind, almost as if your ears just popped before the Squire’s voice rings out clearly. You can faintly hear others speaking in the background with the squire, voices that appear to be having a mild disagreement. One is Dame Rose while the other is a very deep booming baritone male with a noble’s tone you don’t recognize. You get the impression that they either don’t really understand the process much or simply don’t mind it. Cloud Chaser for her part doesn’t seem to react emotionally to the topic in any way she doesn’t freely show in her expression. You do feel a small amount of worry smothered underneath her more apparent emotions but it doesn’t seem to be directed at any one thing in particular. Flitter for her part does react emotionally beyond her expression; particularly she seems to be reigning in her curiosity on the topic. Cloud Chaser gives Tindalos a cheeky grin. "You sure you're not just looking for an excuse to drink big guy?" Altara's eyes dart briefly to see if anyone else reacts to the voice of the squire, or if it is only her that hears. "Oh! That is quite an experience. Hello Caramel Velvet, this is Sigma Altara. If the ring has already introduced myself...well, it is a little late to know that now. Would you be able to spare a moment to answer a question or two about the case? I would understand if you are preoccupied, though it would be terribly convenient if you know who had seen Ms Dawn Rose with the stranger." You can hear the squire stumble over her words for a moment before taking a deep breath and trying again. "No, it's alright. The ring doesn't introduce who's speaking on its own." She stops for a moment as you can hear Dame Rose responding to whoever she's speaking too, though the words are unintelligibly faint. "I'm not busy, no. I believe it was one of the head researchers in the astronomy department. A... Lady Moonglow I think it was?" Nopony around you seems to react when the squire speaks, though you do notice some ears twitch instinctively in your direction when you do before returning to whatever their owner was doing. Dr Blight wrote: Cloud Chaser gives Tindalos a cheeky grin. "I wouldn't need a drink if somebody didn't nick the one I already had." He gives Chance a glare before resuming eye contact. "Besides, a good rule of thumb is if a place serves drinks, it also serves stories." Dr Blight wrote: You can hear the squire stumble over her words for a moment before taking a deep breath and trying again. "Ah, thank you! Is Lady Moonglow the only observer we know of?" Altara glances over to the dragon and calls over "Just keep in mind we're here with a schedule!" Chance rolls her eyes at Tindalos and says, "It sounds like we have a better lead at the moment. I think we might have to postpone your excuses to get drunk on the job." Responds the squire as a sharp female voice ends the dispute between Dame Rose and the male voice in the background. Muses Cloud Chaser as Flitter steps forward. Just pointing out that the current situation is about as viable as splitting up is ever gonna get for you guys, so it’s an option to consider. "Well, after we talk to Lady Moonglow, if we're splitting up I'd want Shimmer with me as she knows the area and the mages and such here would be familiar with her and that's who I'd probably have the best luck speaking with myself." Chance replies. If the call doesn't feel like it's ended, she'll say, "Ah, good! Thank you again! Uh...end...call?" Then, turning to the maiden pegasus, she asks, "Ms Shimmer, before you go, do you know of Lady Moonglow, or where she resides?" After a brief pause, she quickly adds to the others, "Not to intend that only Ms Shimmer might know who Lady Moonglow is, any information on her would be useful." No time to make a streetwise roll now, I'll make one later unless people provide useful information before then. "I know who she is, and Mr. Tindalos may get his drink after all." I turn to where she knows a specific location to be. "Lady Moonglow is a noble, named to the Nobility by the S-... the Duchess herself, for her research in magic, particularly a spell that dispels mental magics. She has a sister, Sunny Skies, who runs a well known inn and tavern in the north district of town. Both she and her sister are on good terms with each other, and with Duchess Twilight Sparkle. I believe if we visit the inn, we may relax, have a drink, you all may find better lodging than the Academy servant's quarters, and we may speak with Miss Skies, and find Lady Moonglow as well, if we're lucky." I look back at Chance. "Or, if you prefer, we can look for her here. She does her research at the academy." Finally, I give a little cough. "I know a bit more about her, but I don't believe it would be my place to share." Chance shrugs, having given up on getting Tindalos to focus on the job rather than drinking and not really knowing where would be best to look. She says, "Wherever you think we'd find her I guess." Altara thinks for a moment, before saying to Shimmer, "If you could provide directions to her...I'll call it a research station...if she has one that is, Ms. Cloud Chaser, Ms. Flitter, and I can go see if she is there, while you, Mr. Tindalos, and Ms. Chance go to see if she has been to see her sister. Whichever group finds her should contact the other, if just to spread knowledge. If she is at neither location, her sister at least might know where she has gone, and I might suggest some or all continuing the search." Very quickly after finishing, she thinks to add, "Not that any of you need to be told that or that those groupings are necessarily the best; they merely seemed to me the most convenient for who would like to go where, and everyone seems fully competent and are capable of making choices...I'll just stop now." She looks down at her hooves for a moment, before quietly adding, "Your hair looks nice." "Splitting up isn't a bad idea, but I think it'd make more sense if I was part of the group going to the research lab whatever since the arcane is my specialty in this group as far as I know." Chance replies. Chance almost thanks Altara for the compliment but realizes the comment likely wasn't directed specifically at her as she's wearing a hat and has been (though not the same hat) the entire period of time she and Altara have known each other. "I'm sorry, if the Duchess was in town I could give you a more definite answer of where to find Lady Moonglow, but since she isn't I'm afraid it's a tossup. Ms. Chance, if you are more comfortable searching the Academy, then I will accompany you, and the rest may go to the inn, ask questions and make arrangements as necessary." I turn around and nod to Chance to follow me, and then when she is closer I speak again. "However, I am certain that to avoid unwanted attention, we must speak to the head of the School. I would begin thinking now of what you want to tell them, to balance avoiding suspicion and keeping our hidden agenda hidden." "Well, I guess we could say we wished to consult with her about mental magic spells? Huh. Now that I say it aloud, it seems curious that our witness to an affliction which is magical and mental and nature should be a researcher in the very same field. I think we should consider the idea that she is a suspect, not just a witness or potential target." Chance replies. "In which case I think we may want another to come with us in case things get dicey." Cloud Chaser holds a hoof in the air. She declares cheerfully before pushing her sister forwards towards Chance. Flitter sputters in surprise as her sister pushes her forward. "Well yeah. There's no way I'm letting you go to a tavern without me there to reign you in. You know how you get when you drink! Besides, of the two of us you're the one who was always better at focusing and planning and stuff. If Chance here is right, you have the best bet of resisting between the two of us." Flitter frowns in displeasure as she gets volunteered without being asked but can't seem to think of anything to refute her sisters argument. Instead her wings ruffle a little before she flaps them a couple times and nods. Altara smiles slightly at the sisters' banter, before addressing Shimmer, "A sound idea. If you believe it would work, I would like to stagger our talks with the head of school, our group going to inquire Ms Sunny Skies before going to speak with her, with each of us saying that we are part of a group from the Light of Order who are looking for Ms Moonglow for her assistance on a matter for the guild. Do not make it seem that it is a matter of urgency for us to find her, fear is...such a polluting flavor." Her eyes widen slightly before she quickly corrects, "Emotion! It's a...an unhelpful emotion. In this situation. Yes."